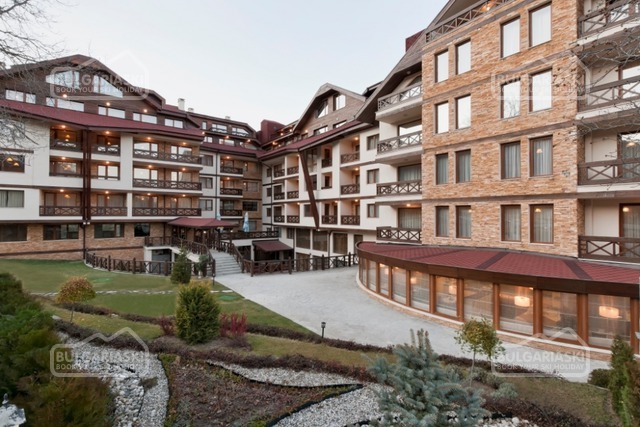 Location: Regnum Apart Hotel complex is located about 500 m from the Gondola ski lift and 900 m from the center of Bansko ski resort, just next to the Glazne river. Accommodation: The property offers about 100 fully furnished studios, 1-bedroom apartments and 2-bedroom apartments. The guestrooms feature fully fitted bathrooms with large vanity mirror and taps, with bathtub or shower cubicle, kitchenette with cooking facilities, fridge, TV, balcony, space for luggage, extendible sofa. 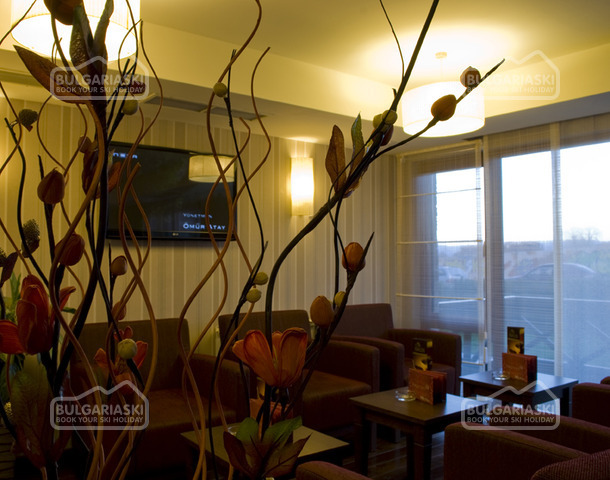 Conference facilities: The fully equipped conference room is one of the largest ones in Bansko. 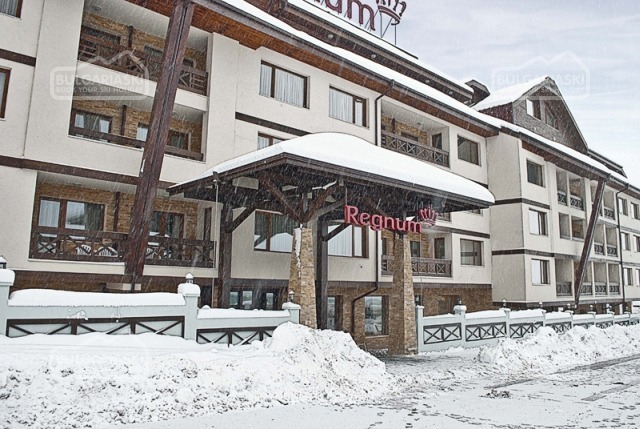 Regnum Hotel provides fully equipped and renovated Business Centre, one of the largest in Bansko. It provides all necessarily for corporate meetings and events, conferences and congresses. The unique Banquet Hall "Bosphorus" offers multifunctional space with daylight, high ceilings and full equipment. 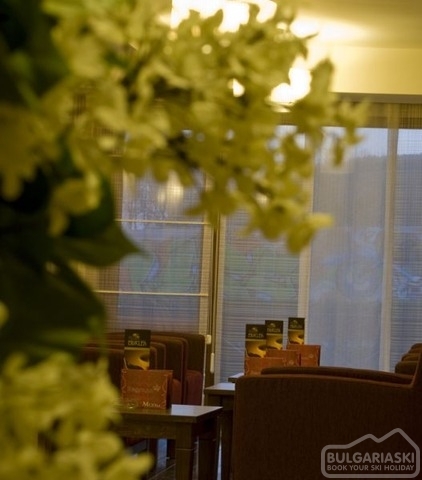 The Business Centre provides a direct access to the aqua park and the outdoor swimming pool. 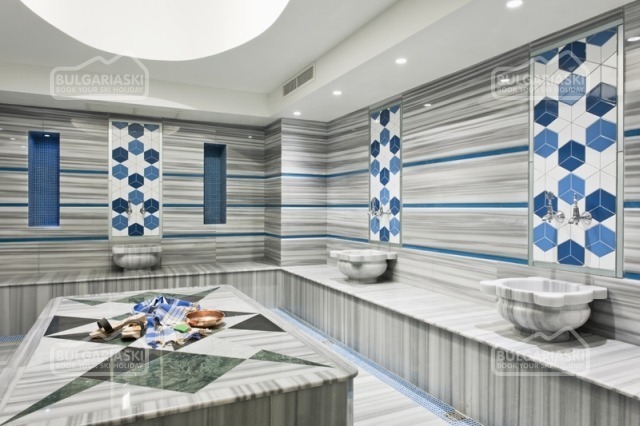 Spa and wellness: The SPA centre features fitness centre, indoor swimming pool, sauna, jacuzzi, steam room, relaxation rooms, etc. 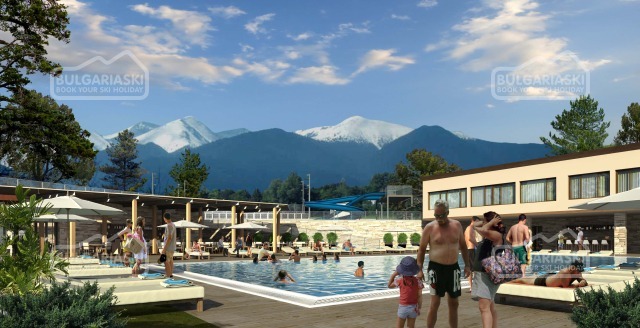 - Outdoor semi-Olympic size swimming pool with warm water of 30’C. It is covered by a balloon during the winter season. 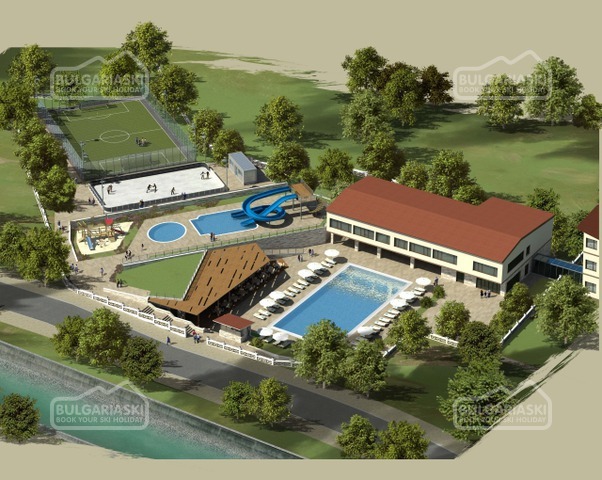 It features pool-bar and green grass area. - Children's swimming pool with a water slide. - Synthetic Ice Rink, where skating is possible all-year round. 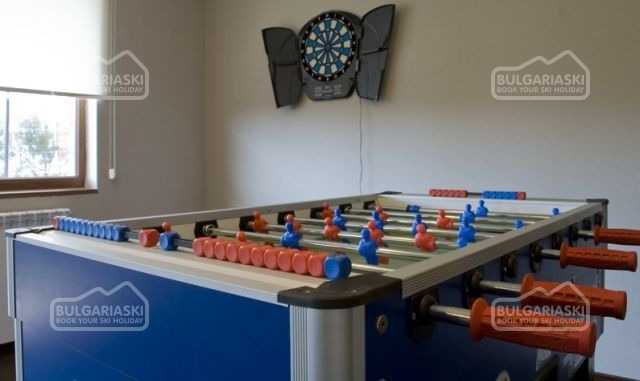 - Multifunctional outdoor suitable for football, volleyball, basketball or other games. 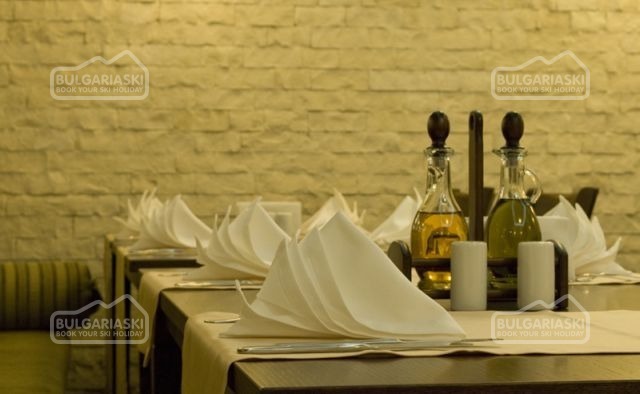 The restaurant with 180 seats and panoramic views over the mountain offers meals from Bulgarian, European and Turkish cuisine. Banquet Hall “Bosphorus” is a place for Corporate events, conferences, Gala dinners, team buildings, sport or dance sessions. 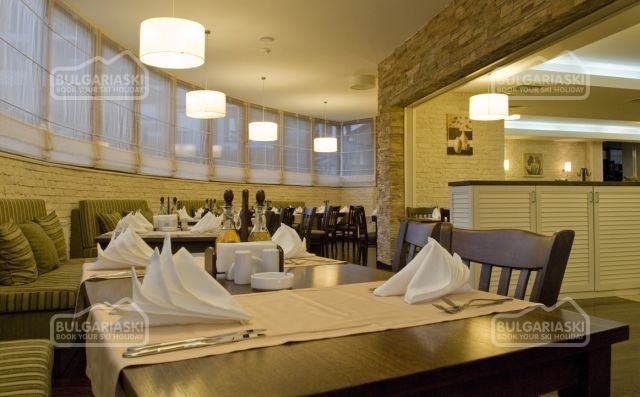 The banquet hall is suitable for 220 guests and features all necessary amenities, air conditioning, daylight, technical equipment and a unique view to the magnificent Pirin mountains. 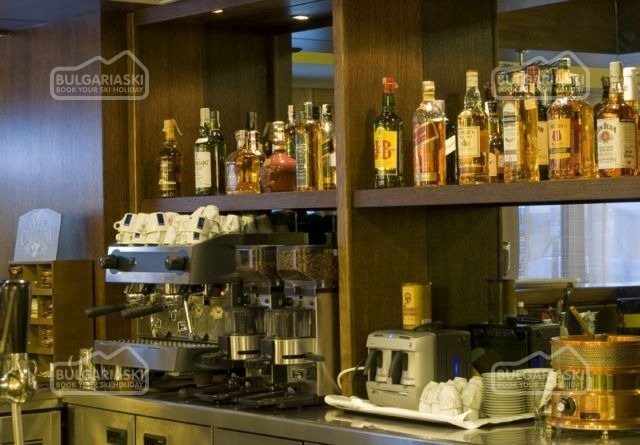 Night & Shisha Bar “Regnum” is a great place for entertainment during the Winter season. It is with 60 seating places and a full capacity of 100 guests. 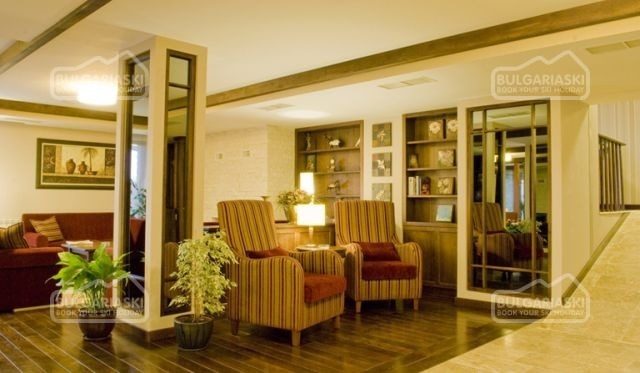 The Lobby Bar and Lounge is with fireplace and piano. Please, post a comment on Regnum Aparthotel. * The rates are in EUR per room/apartment per night with breakfast included. 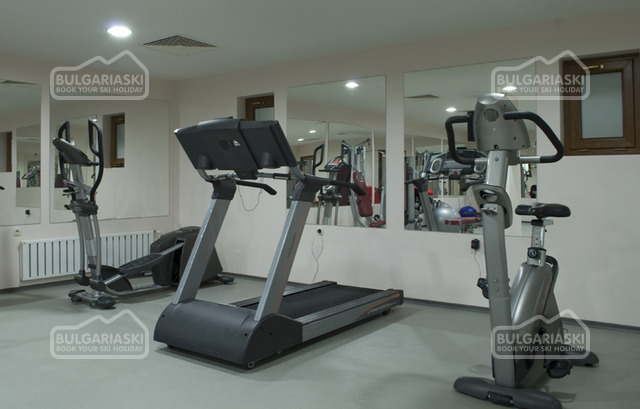 Guests of the hotel could use indoor swimming pool, fitness, sauna, steam bath, Internet and shuttle bus to the bottom station of the ski lift free of charge. * Cancellations can be made, providing details of this are received at least 21 working days prior to check-in day - cancellations made after this period will incur a fee equivalent to the cost of the 3 nights of the accommodation and catering! 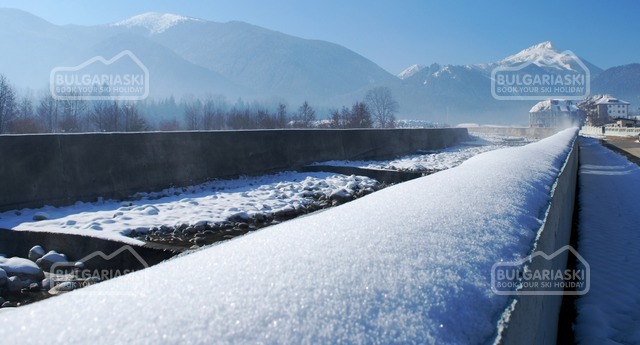 Cancellations for the period 27 December - 10 January can be made min. 31 days before the check in date and cancellations made after this period will incur a fee equivalent to full amount for the accommodation! Min stay during 21-27 Dec 2018 - 3 night, and from 27 Dec to 03 Jan 2019 - 5 nights!